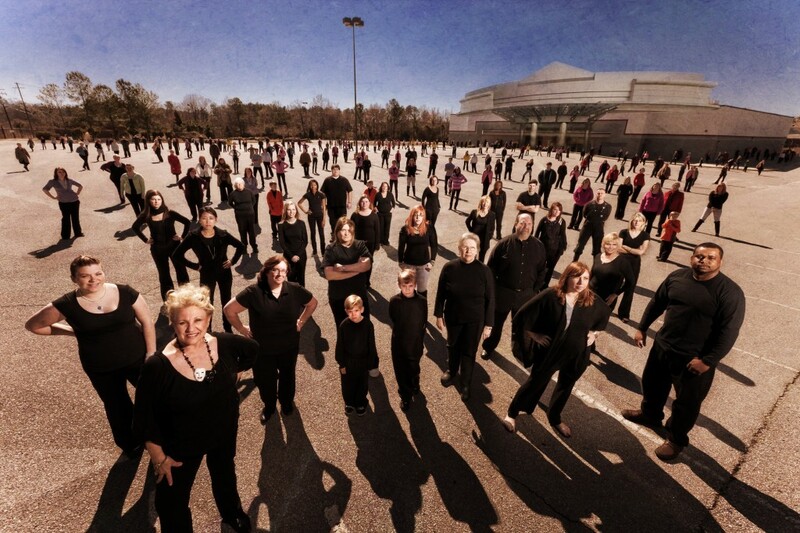 Every year we get to do the cast and crew photos for the Clemente Players, a theater group at Trident Technical College. Since I had about 35 people gathered and willing to do whatever I told them, I decided to see if we couldn’t make the 35 look more like 400. We found an abandoned parking lot and got to work. We used a single 580 EXII flash to light each face in the foreground individually (compositing them together later in PS), and then we had the entire troop stand in different spots all over the parking lot taking shots along the way, changing, and exchanging outfits here and there. This is the final composite below, followed by a short “making of” video. Director Sharon Willis is in the front bottom left with this years ensemble (which is deceptively smaller than it appears).